SSD performance is one of the biggest considerations when designing industrial applications. SSD technology is still evolving from PATA to SATA and the speed of its interface continues to increase. The PCIe interface appeared in the market almost at the same time as SATA 3.0 Gbps (Gen. 2) became popular. Advantech SQFlash features complete power failure protection in all product SKUs, proper power failure protection mechanisms are implemented in different product series. This complete scheme combines four different functions – Power Failure Saver, Power Drop Catcher, Flush Manager, and Voltage Stabilizer. From 2D NAND flash to 3D NAND flash, higher storage density devices have emerged quickly in recent years. However, it is likely that endurance, reliability, and/or performance will be sacrificed. To achieve industrial grade endurance, LDPC and RAID ECC technology are important for 3D NAND flash (BiCS 3) in industrial application. With the evolution of NAND flash process technology, from SLC to 3D NAND flash BiCS 3, the unit storage density has grown rapidly but the performance, reliability, and endurance have decreased. It is important to develop controller firmware to manage NAND flash to improve the performance of NAND flash storage devices. The IoT era is fundamentally altering the operations and evolution of traditional industries as well as emerging businesses. Several IoT applications now available harness sensors, gateways, networking and cloud infrastructure to enable new avenues of value and efficiency for customers. Whether deploying basic IoT devices like sensors or a host of next-generation IoT products and services, standard network infrastructures need to be altered to enable important IoT characteristics like wireless connectivity, remote management, and monitoring. In addition, multiple platforms and technologies need to be integrated to fully bring the benefits of IoT to market. 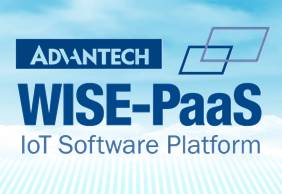 To facilitate a wide variety of integration possibilities without compromising on lead time requirements, Advantech along with partners TI, ARM, Bosch Sensortec and Sensirion have collaborated to bring a new open standard - M2.COM to the market. M2.COM is based on M.2 form factor architecture and provides a modular approach to sensor node design. In this paper, we call out the core requirements associated with sensor node design for IoT and examine how the M2.COM design standard fulfils these requirements. The presence of high-end electronic equipment is increasing in many applications including transportation, industrial, agricultural and power equipment. These applications are expected to operate reliably for several years and are often subject to harsh environments like vibration, dust, and extreme weather conditions. They need special design considerations and use of boards and components qualified to work reliably in harsh conditions. The figure below summarizes the stresses that must be endured in rugged applications. Advantech SOM-5991, designed on the Intel® Xeon® Processor D-1500 family, is the world’s first COM Express powered by a server-grade processor that provides high bandwidth interfaces for data transmission-reception, all within a basic form-factor of 125 x 95 mm with a Type 6 compliant pin-out. Nevertheless, since most user scenarios adopt a thin chassis or blade/slot architectures, the SOM-5991 is designed with extra, dedicated CPU heatsink screw holes that allow for a compact and flexible thermal solution. With this new product, the user can easily design a scalable, high performance system with all computer-on-module advantages that is not restricted to ATCA/CPCI slot architectures. System integration is not an easy task, making system integration easier is the goal of most clients. By using the MI/O Extension solution, we can help customers retain domain knowledge and design their own extension modules, making mechanical designs more compact with fewer system parts, and centralize thermal designs to improve reliability. Configurable designs and pricing competitiveness are the two primary factors in defining the future of vertical applications.In light of making standardized, embedded single board computers a more thoughtful fit for client demands, Advantech introduced the innovative MI/O Extension solution to assist application providers in quickly providing optimal solutions to their clients, while still securing their domain knowhow in key vertical industrial technologies. In business, time competition is fierce, and especially in the IT industry. Chipset vendors rapidly upgrade chipset designs generation by generation, and solution providers follow suit, providing products with the latest chipsets. System integrators are the last one in this chain, integrating computers, peripherals, chassis and software. Thus, it is important to operate on a short schedule, to have fast time-to-market, and insofar as possible to gain and keep the first-mover advantage.